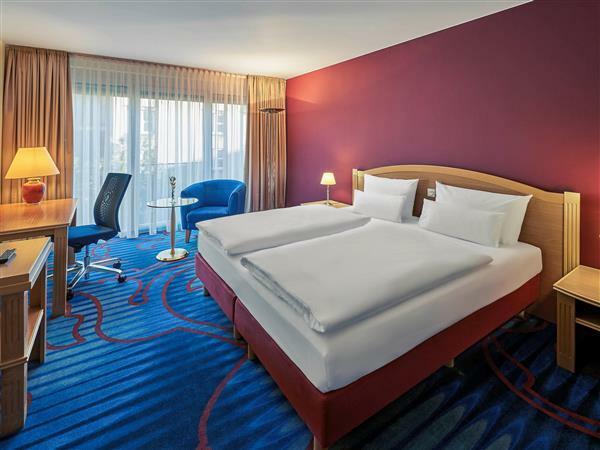 "The buffet breakfast is very good & has a good and fresh mix..."
Have a question for Mercure Berlin Tempelhof Airport Hotel? 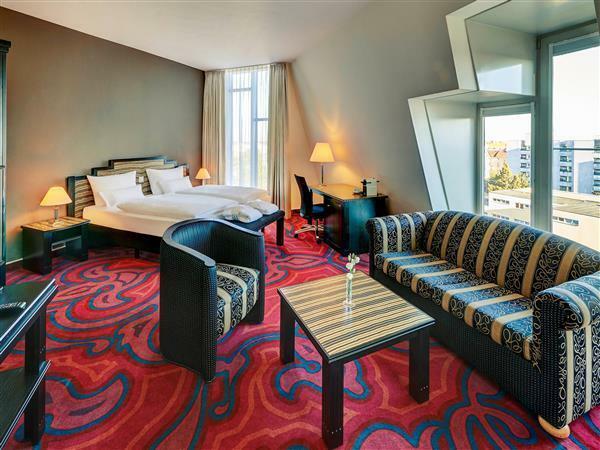 This hotel provides 216 tastefully decorated guestrooms and is close to the Tempelhof Airport and Neuklln district. 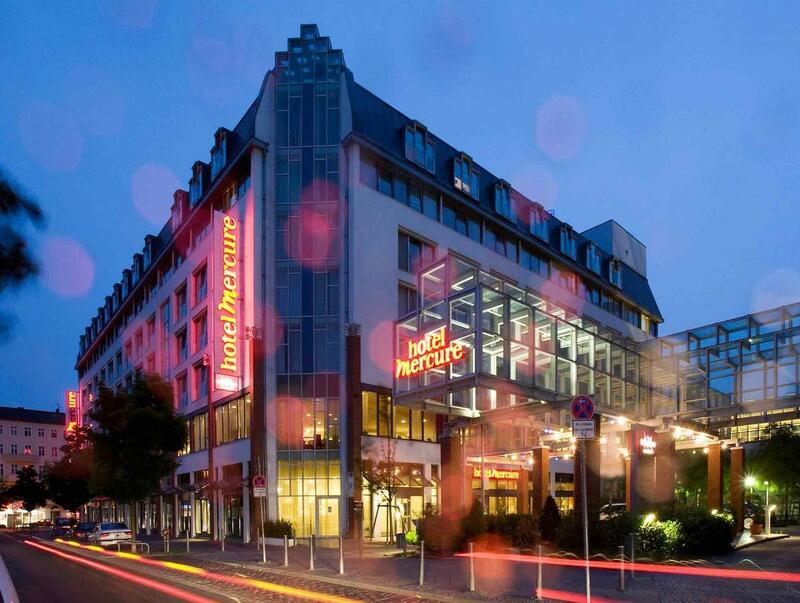 Located close to the Tempelhof Airport, the Mercure Berlin Tempelhof Airport Hotel is six kilometers from the Alexanderplatz and 12km from the Kurfurstendamm Boulevard. 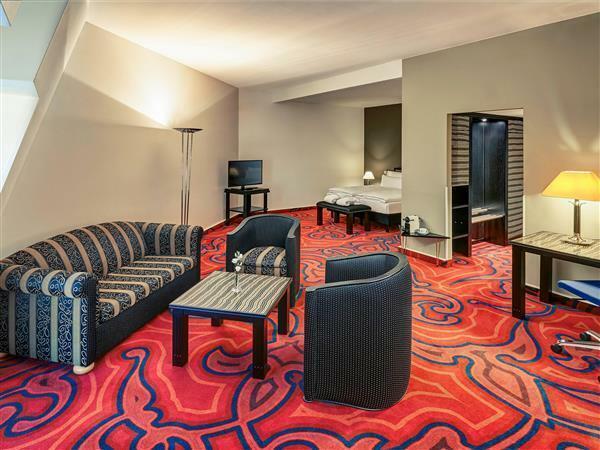 Guests are just a two-minute walk from the subway station which provides direct access to the Alexanderplatz. It is also close to the multi-cultural neighborhood of Neukolln. The on-site restaurant serves regional and international cuisine in a stylish atmosphere. 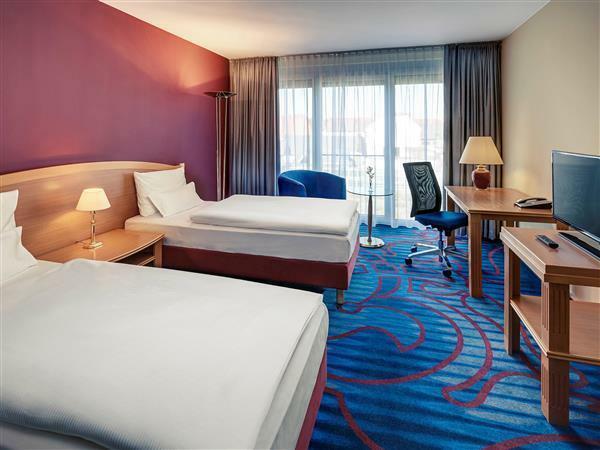 The 4-star hotel is an ideal stay for business and leisure travelers seeking stylish accommodation that is close to the Tempelhof Airport. I was disappointed about the gym. Sauna did not work and most of the sports equipment did not work properly. Surroundings at the entrance of the hotel are neglected. I stayed in standard double room for 4 nights Hotel rooms are big and spacious. They could add complimentary tea /coffee facilities in the room. Also for a 4* hotel the room was missing robes &slippers which would normally be present. The buffet breakfast is very good & has a good and fresh mix of hot &cold food and drinks. Its easy to get around from the hotel. Ich war insgesamt mit dem Mercure Berlin Tempelhof sehr zufrieden. Der Check-In sowie der Check-Out funktionierten einwandfrei und zügig. Das Zimmer war sehr schön ausgestattet, besonders gut gefallen hat uns das Badezimmer. Die Lage ist spitze, innerhalb von drei Minuten ist man an einer U-Bahn-Station ab der man in weniger als 10 Minuten am Alexanderplatz ist. Das Personal im Hotel war sehr freundlich, wir fühlten uns gut aufgehoben! Absolut weiterzuempfehlen! Der Aufenthalt war äusserst angenehm. Es hätte nicht besser sein können. Lähellä metroa, joten liikkuminen oli helppoa. Omalla autolla matkustavat joutuvat maksamaan parkkihallista täyden maksun, vaikka muuta luvattaisiin. Kadulla pysäköinti tullee halvemmaksi? Erittäin kalliit palvelut hotellissa mm. internet, aamiainen jne. Ei ehkä sovi budjettimatkaajille. Aika paljon tuntui vetävän ns. "hienompia ihmisiä". Henkilökunta oli kyllä ystävällistä ja avuliasta. Huoneet suuria ja siistejä. Kaiken kaikkiaan hotelli ihan ok, kunhan ei käytä kalliita lisäpalveluita. A kényelmes matrac, kádas fürdőszoba és beépített mini konyha. Két nyugodt éjszakát töltöttünk le ebben régi reptér szomszédságában található szállodában. Sajnos a szauna nem volt felfűtve és nem úgy tűnt mintha sűrűn használható lenne. A fürdőkád, a reggeli kávé a recepción és a biztonságos parkoló. A parkolásért külön díjat számoltak fel ugyan, de lehetőséget biztosítottak a parkoló elkülönített részében hagyni az autót. A matrac nagyon kényelmes volt. A szoba klimatizált. A szállodának van ugyan szaunája, de azt már láthatólag egy ideje nem fűtötték fel.